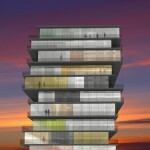 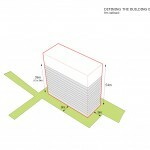 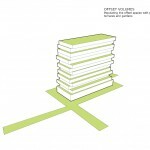 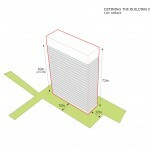 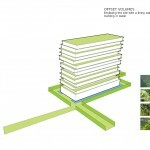 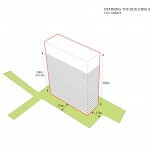 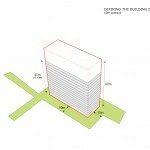 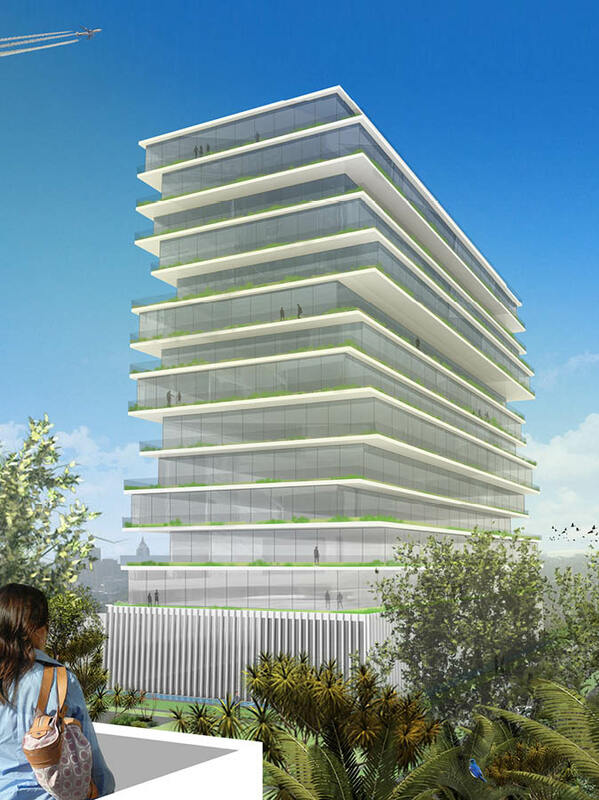 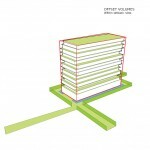 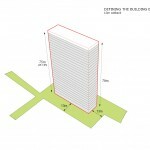 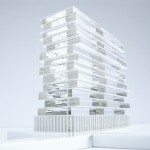 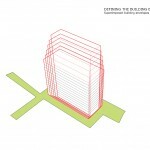 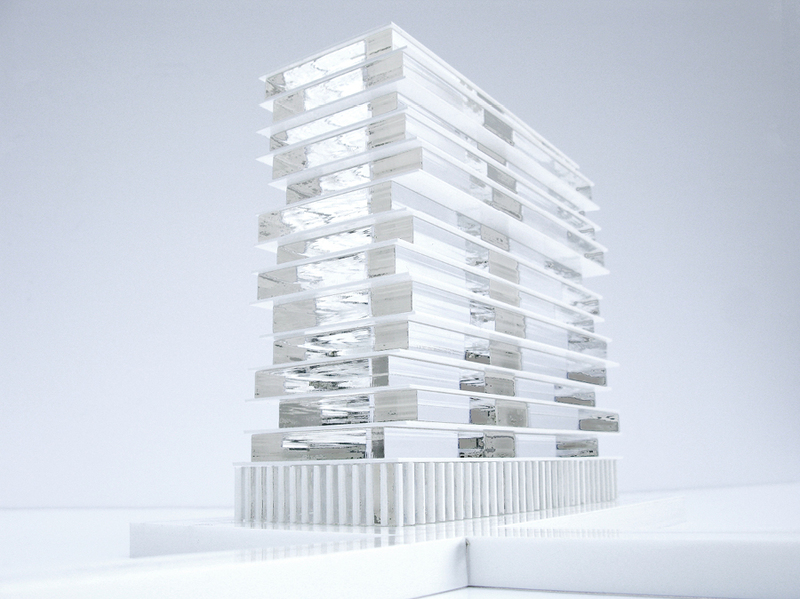 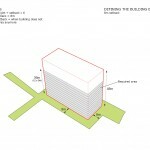 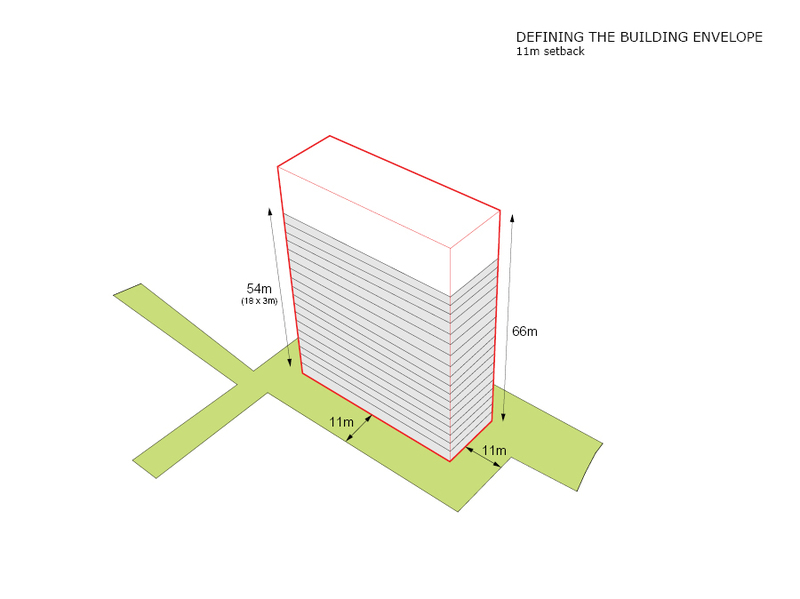 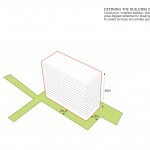 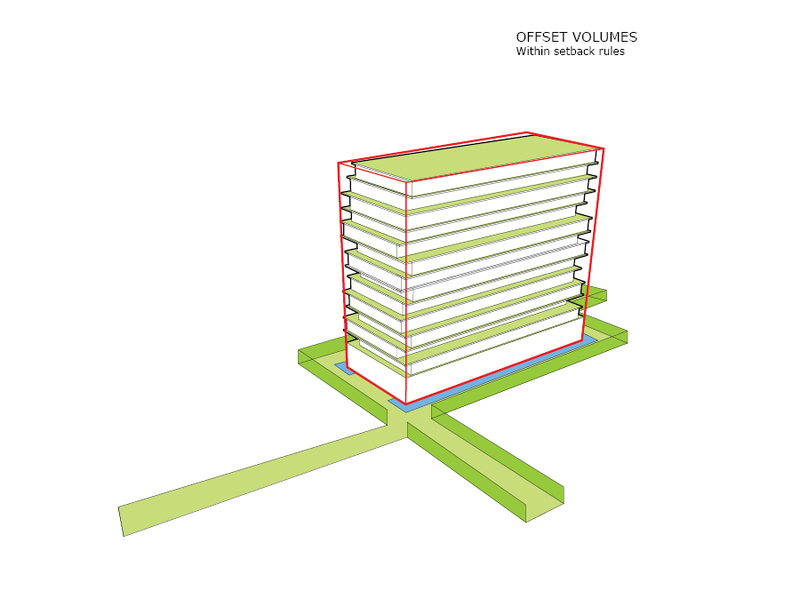 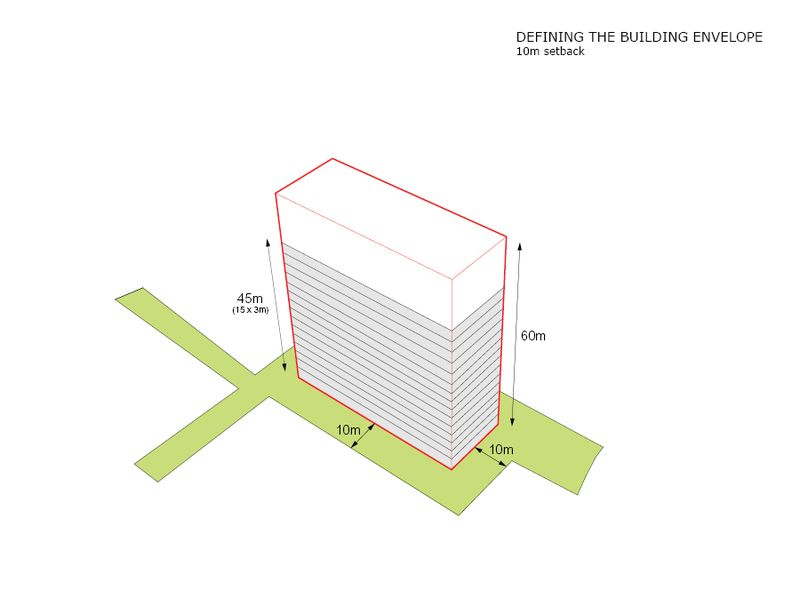 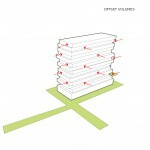 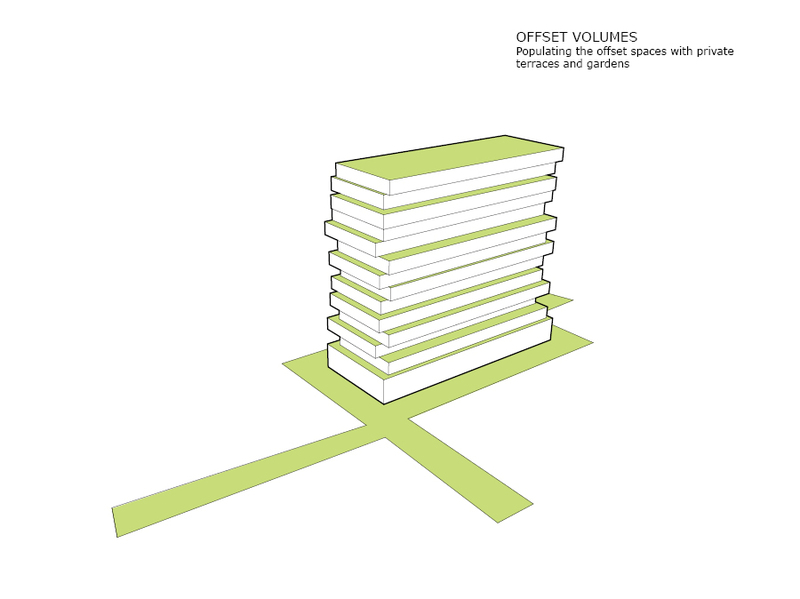 The Offset Volume Tower project is located on an inner city site, the same site as the Stacking Tower project. 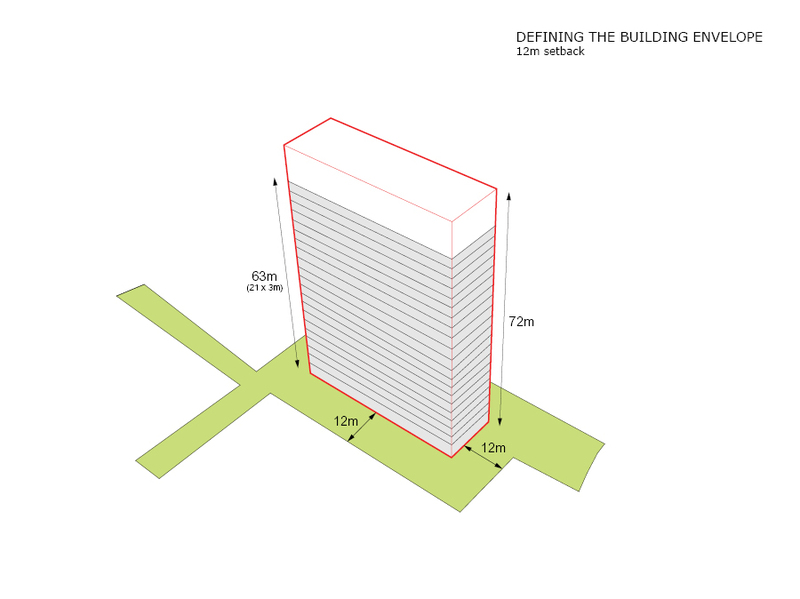 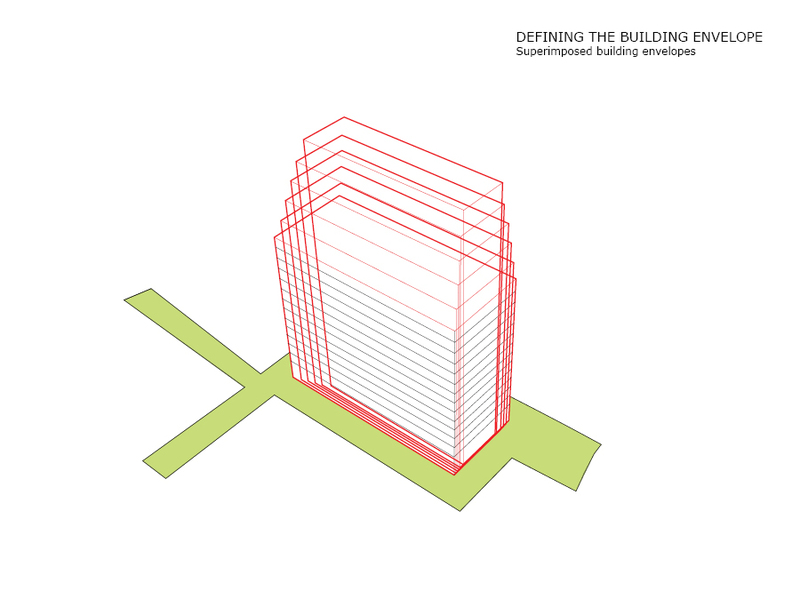 Its permissible massing was derived from set back regulations that allowed higher a tower with an increased setback from neighbouring properties. 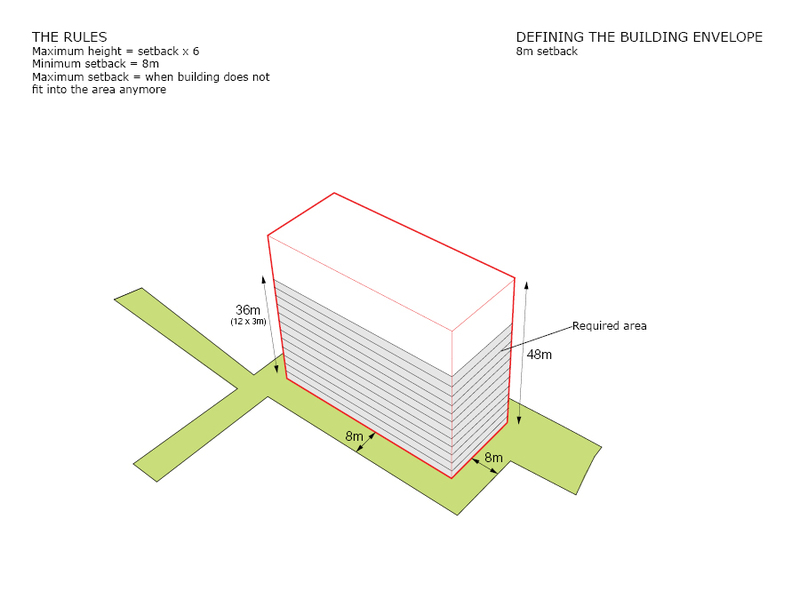 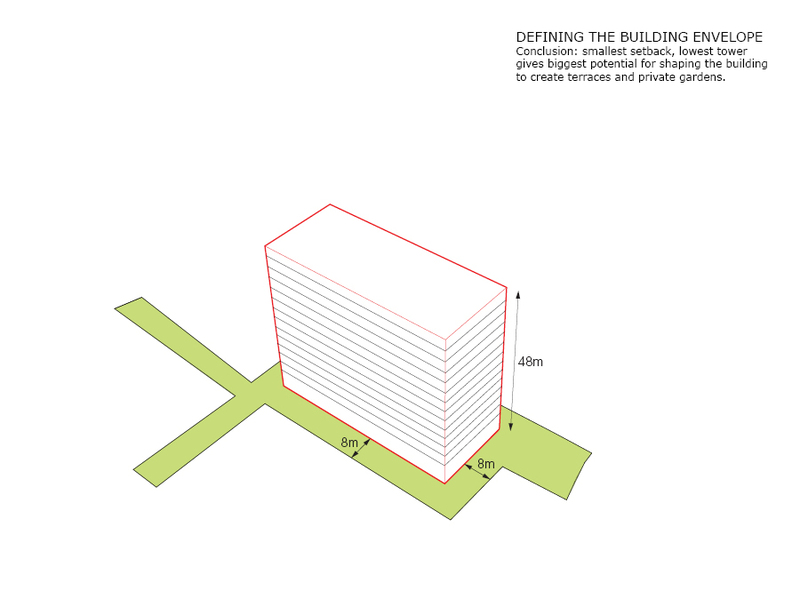 This meant that, as the height of the permissible building and the set back to the neighbouring properties increases, the resulting floor plate reduces up to a point where the tower becomes inefficient and structurally compromised. We therefore tested zoning envelopes that allowed an appropriate floor plate that achieved the permissible area as well as allowed the formation of private terraces along some of the edges of the tower. 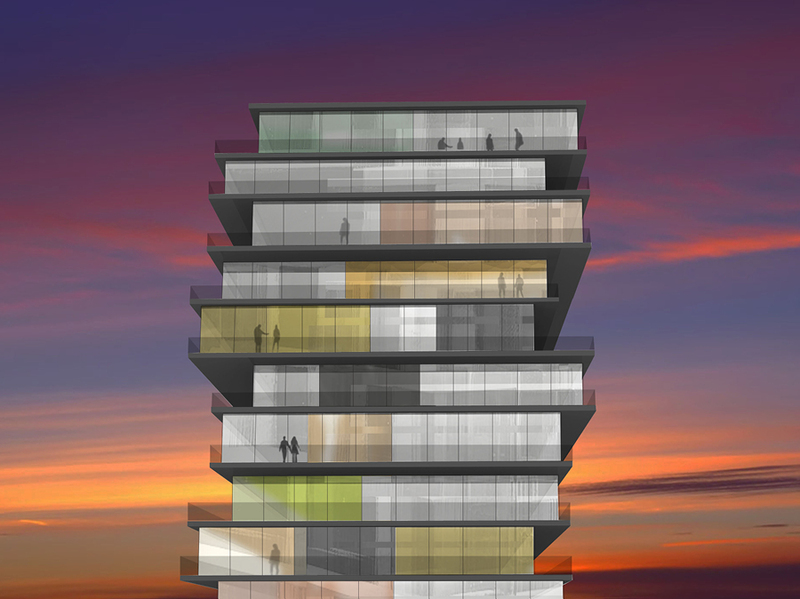 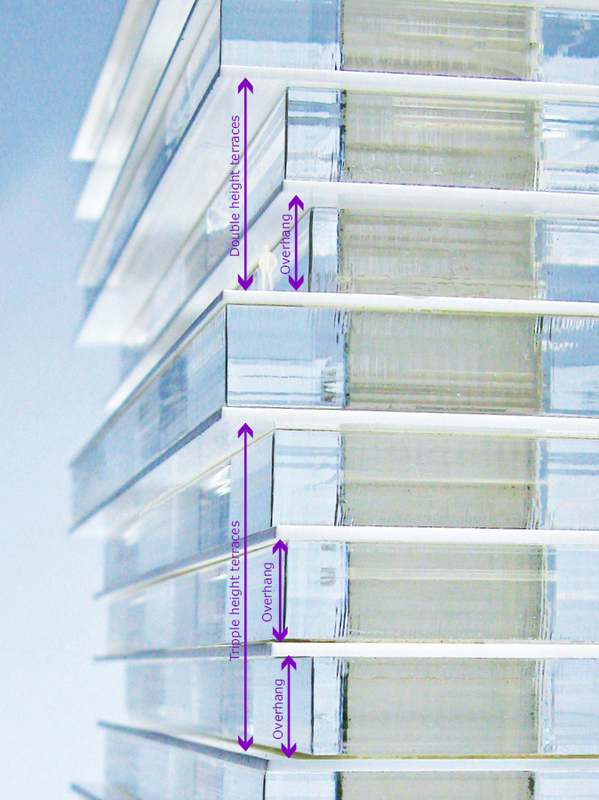 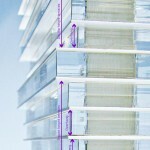 This led to offsetting floor plates to create cantilevers to self-shade the facades of the tower. 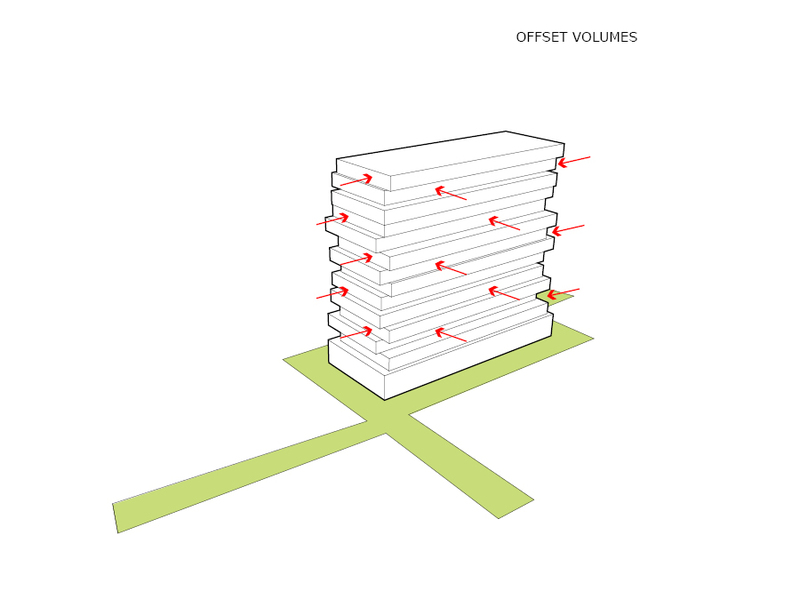 In addition to this, the volume of each of the tower storey has been offset as well, forming terraces on differing sides of the towers around its periphery. 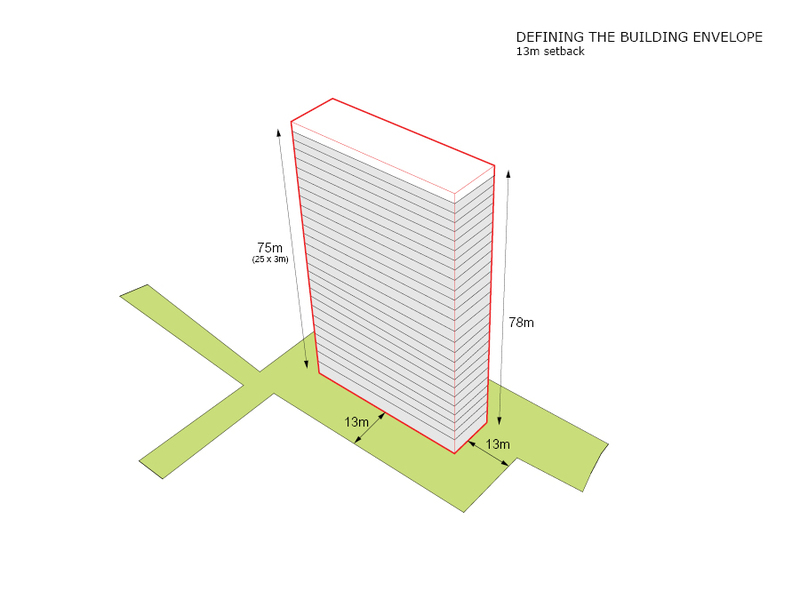 This also creates double and triple height external terraces spaces, contrasting the linearity of the storey volumes that have been expressed in the tower. 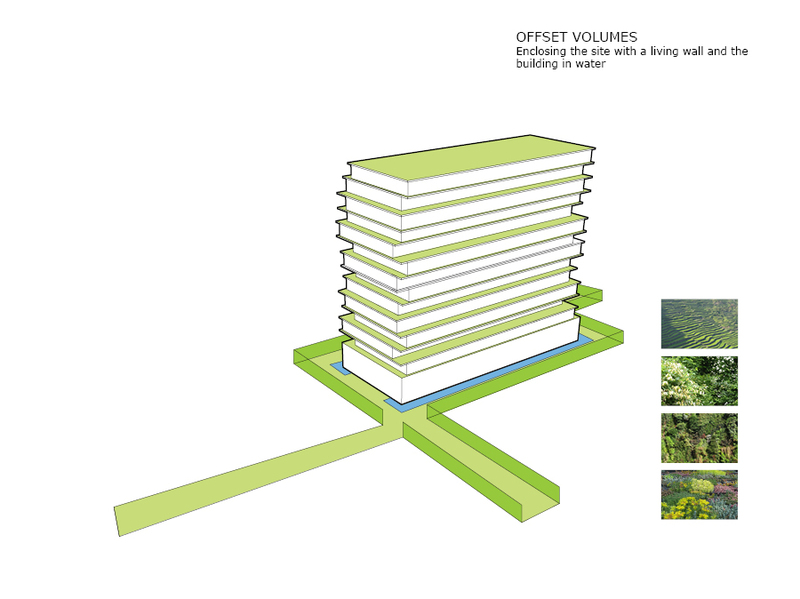 The site’s overall landscape proposal provides living landscaped walls along its perimeter, creating a sense of a true urban oasis and sheltering the residents from the day to day city life. 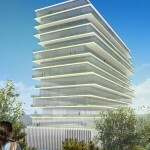 The landscaping is designed to create a serene, rich and unique setting, which will stimulate and sooth through scents, colours, and softness.